I am Tabitha, and my life is a roller coaster that God has given me to experience the ups and downs. I don’t know about you gals, but I LOVE writing. I get excited to write papers whenever I take a college course. I guess that is what started a venture out into the blogging world. Indeed, there are MANY bloggers, especially housewife and mommy bloggers. So, what sense does it make for another gal to start a blog? It makes perfect sense! Clearly, every blog in the internet world has a person with their own story at heart. No two bloggers are alike, though there may be an occasional similarity among a post or two. Enough talking about blogger similarities and differences; let’s get to know each other. I am currently a twenty-seven year old military wife and mommy. Though, I could easily pass as a sixteen year old girl if I dress in jeans, shirt, hair in ponytail, and wear my glasses. And, that fact does not help my dear husband who is only five years older than me. There was one time that I was mistaken for his daughter- which I don’t see why because my husband does not look anywhere near like he could pass as my dad. I do enjoy the youthful look, however. Every woman I’ve encountered said that I’d enjoy looking young when I get older. My husband (Andrew) and I have been together six years, married for five years, and I love the journey that God has allowed us to take together. I can see how there is the statement that it takes three to be married- God, husband, and wife- because I see how far I have come in my spiritual journey by immersing myself in the Word of God. I admit that I am not perfect, but I am where God wants me to be today, and that makes me a better woman, wife, and mom each day that passes. My little boy is a STRONG-WILLED three-year-old. And, I admit that sometimes it can lead to moments where I want to pull my hair out or just forget about cleaning just to take a nap. But, by God’s Grace, I know that I am a great mom in each and every moment. In fact, just moments ago, Christopher accidentally bumped into me because he was excited to help me in the kitchen as I poured hot milk into a bowl, and it spilled on my hand. Of course it hurt, so I yelped out, and that hurt his feelings because I got hurt. I try my hardest to keep my emotions in check with God, and I immediately apologized to my son, but I explained to him that when I tell him to listen to me, that he needs to understand it is for his and others’ safety, especially in the kitchen. The best advice that I learned in such situations is that we are only human, and God did not intend for us to be perfect (thank goodness). And, in a situation such as having thoughts of if I am a good mom or not, that is the devil trying to instill negative thoughts such as that in my mind, especially when I am tired from not having enough sleep taking care of Christopher. Christopher calls me his best friend, and that warms my heart so much. He is a curious boy- especially since I am hard of hearing (hearing aid and a cochlear implant). He likes to look at my hearing aid and cochlear implant to see if I can hear him. The simplest moments with him are what fills my heart, especially teaching him about God and how He cares about ALL our needs. Even though I am a young wife and mom, I believe that wisdom can come through all walks of life because wisdom comes from God, and He uses the most unexpected people to reach to others’ hearts. That is what I hope to reach out through this blog I have created- spiritual inspiration, product reviews for items that I have experienced with, and provide tips that worked for me that may be able to bless you. Remember, you are the best wife and mommy you can be in God’s eyes, and He will get you to where you need to be for tomorrow. So, now comes an end of my first blog post, and I hope that I intrigued you or inspired you in some way. I look forward to impacting your life. Have a blessed week, ladies! Tabitha, I believe the good Lord allowed us to meet for a reason, and oh how thankful I am! 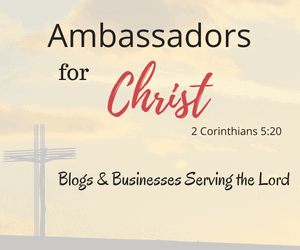 I can’t wait to see how the Lord uses you through this blog to help and be a blessing to others. I may not be a mommy just yet but hopefully In the near future that will change. I can’t wait to read more from you!! Lindsay, I truly believe we are in each other’s life for a divine reason! I am so glad to have met you when we were college newbies. I am looking forward to reaching out to others and I am glad you loved my post! You are a sweet friend!